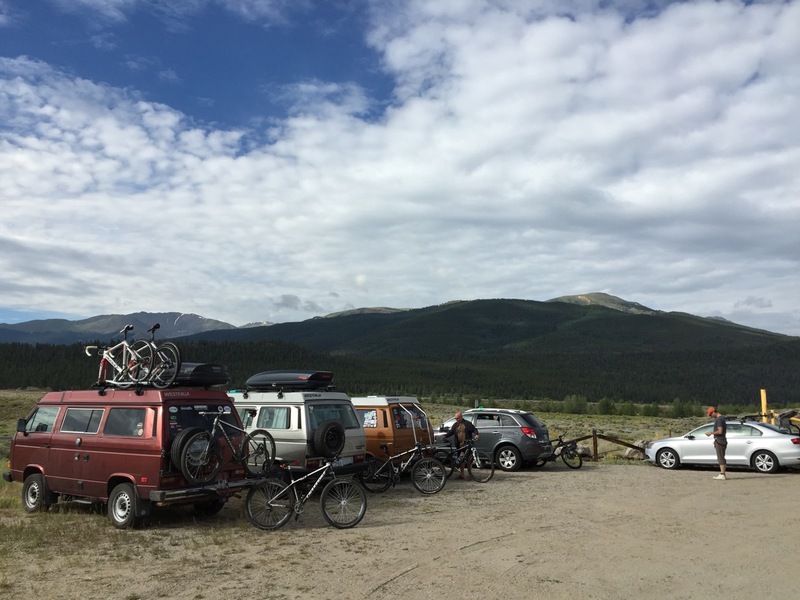 After enjoying the Buena Vista area for a few days, we headed to Leadville on Sunday. 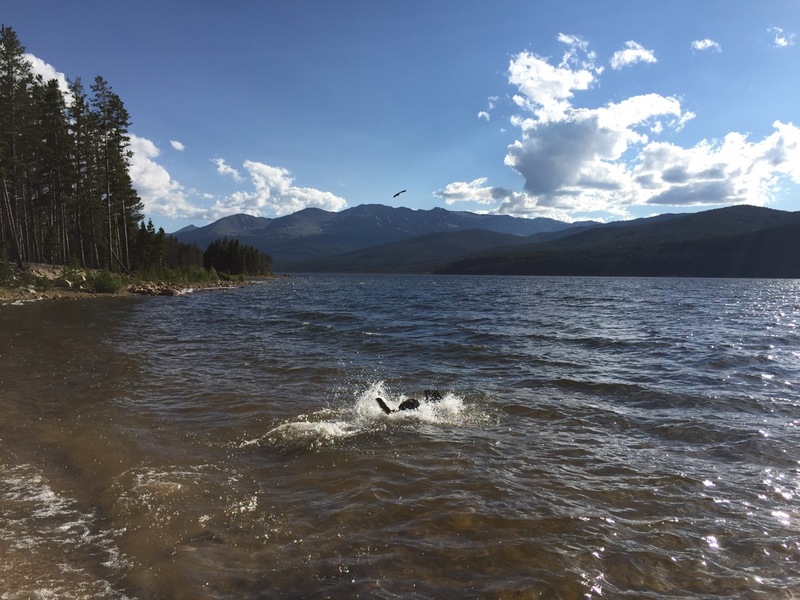 Our plan was to camp for four nights at Turquoise Lake and follow that with a three day house rental in Leadville. Luxurious, yes, but with a big mountain bike race on Saturday, it seemed like the right choice. Get a week and a half worth of laundry done, prepare our bikes for the race and get a few good nights of sleep. 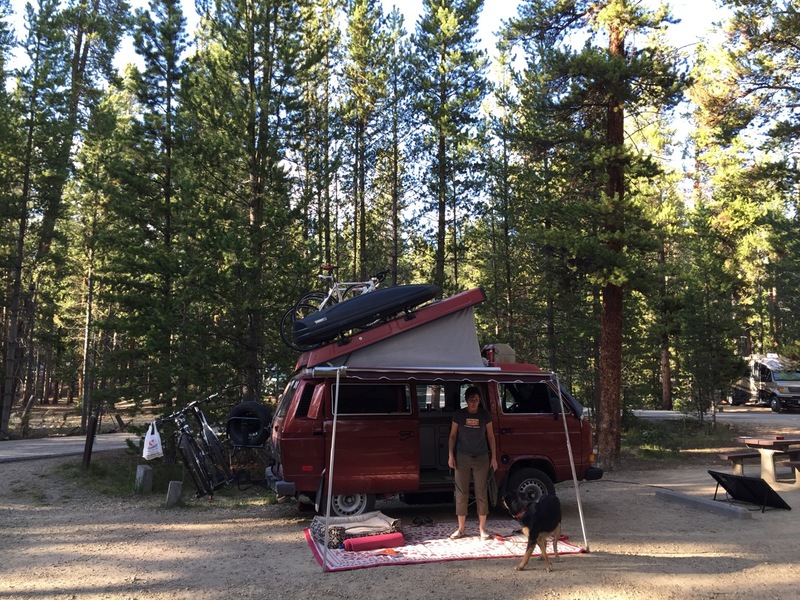 We set up camp at the Molly Brown campground Turquoise Lake Recreational Area. Once again, the campground did not disappoint. In fact, it was most awesome. Large sites, quiet and a lake with beautiful vistas all around. Most importantly, Bruno gave it a solid two paws up. After setting up, we headed to the lake for some frisbee action with Bruno. After another warm day, he enjoyed the refreshing lake. The campground was rather full, partly due to Leadville’s Boom Days taking place that weekend and partly with the Leadville Trail 100 racers starting to arrive for the race, now only six days away. We spent most of Monday relaxing, with some hike/swim/play time for Bruno. Robin and I both got out for short loops on our bikes, just enough to remind the body why we were her at elevation of 10,000+ feet. 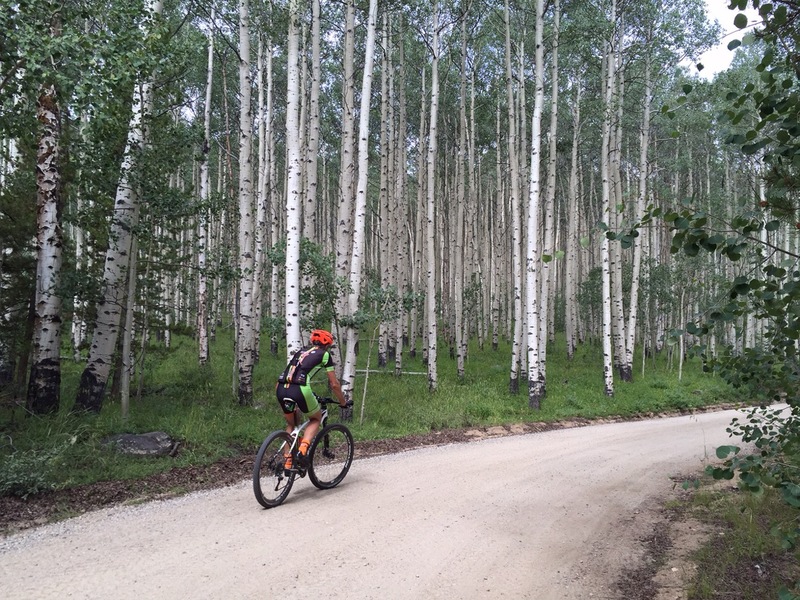 One of the main catalysts for our adventure has been the Leadville Trail 100 mounting bike race. Robin and I competed at this event in 2013 and a few days after finishing that event (body forgets pain quite quickly) we had decided to come back for a second time in two years time. In the meanwhile, a large group of our Toronto-based Lapdogs Cycling team members had qualified or otherwise gained entry to this event. As a result, we have six representatives of our team (plus quite a contingent of family members) here for the LT100. 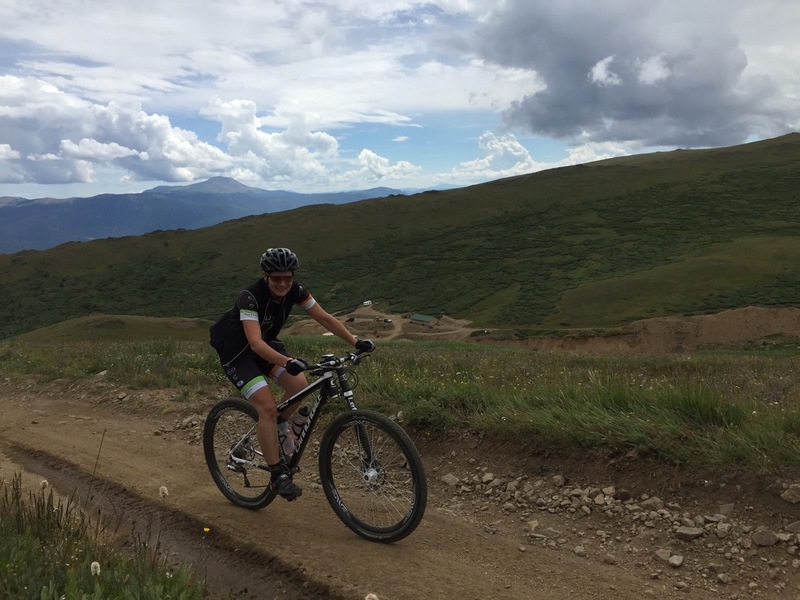 On Tuesday morning we me up with our teammates for a pre-ride of the Columbine Mine climb (and descent), one of the more famous sections of the 100 mile long event. This climb is approximately 1200 metres in vertical elevation and takes us mere mortals close to two hours to climb. 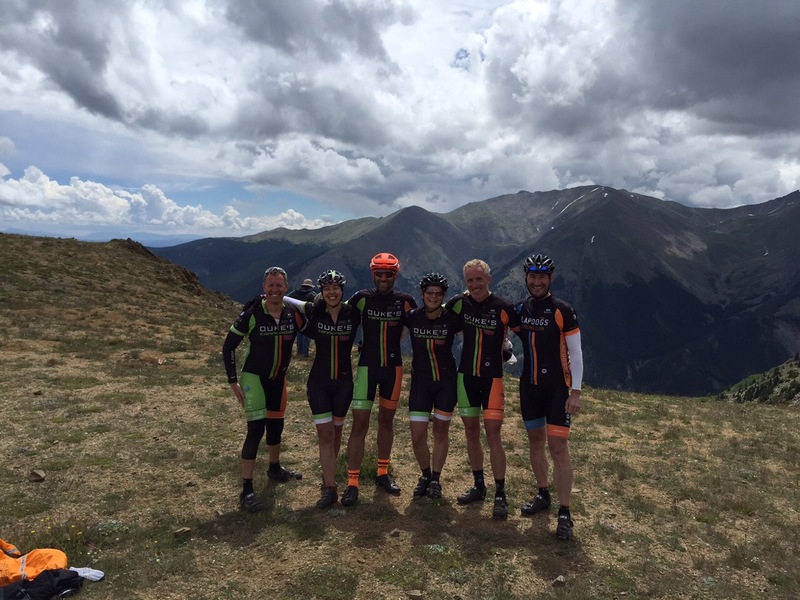 This climb takes you up a typical Colorado fire road with the scenery changing as you gain elevation. The first half of the climb is a steady climb through beautiful aspen forest and as you gain elevation, the aspens give way to coniferous trees of various sizes and shapes. Finally, once you reach around 2/3 time point, you reach the tree line and enter the high alpine meadows. We all enjoyed the climb at our own pace, gathered at the top for a team picture, and commenced a descent back down the same way as we had climbed. The LT100 is an out-and-back race, and the turnaround point is at the top of the Columbine Mine climb. This particular climb and return descent represents 20-25% of the total time we will spend on the race course this coming Saturday, hence a pre-ride makes sense, as long as you don’t leave it to the days immediately preceding the race. 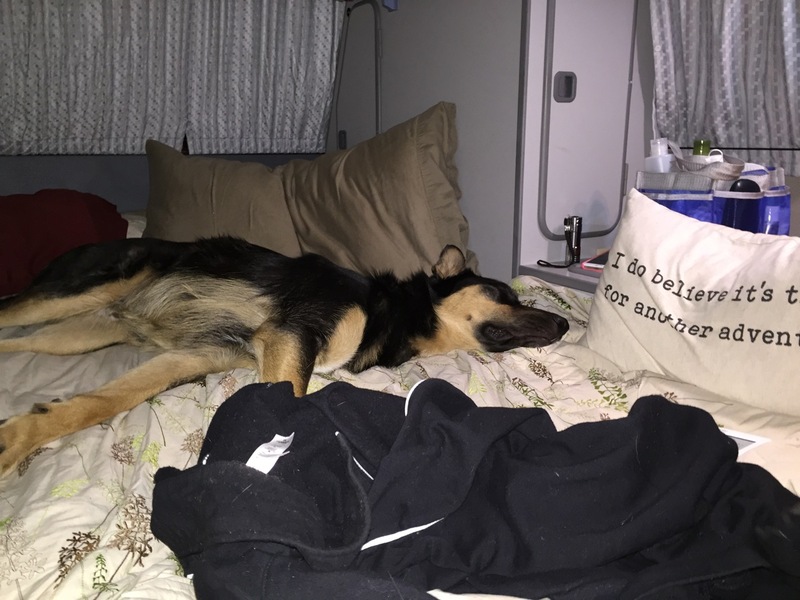 While the racer type people were racing, the supporting LapDogs family members were surveying the sites for race day support and also, more importantly, taking care of Bruno. He seems to be very good at adapting to new situations and from all reports it sounds like a he he had a great time while Robin and I were riding.